How do I make a bootable USB from Windows? I've downloaded the daily Ubuntu 12.04 iso. I currently have windows 7 x64 operating system installed. How can I make a bootable usb from the Ubuntu iso? 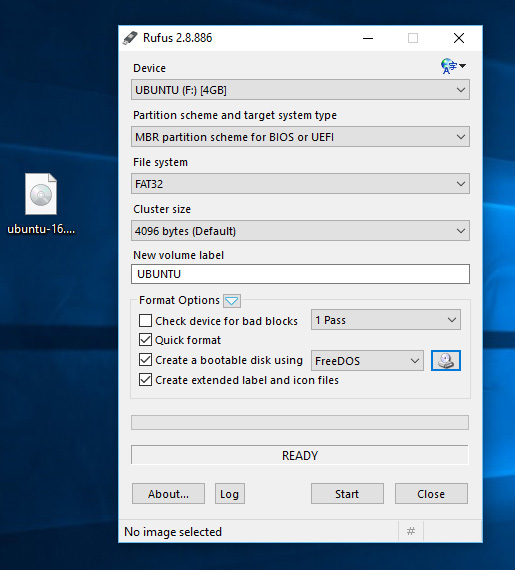 In order to make an Ubuntu live USB for installing Ubuntu in Windows, use Rufus. 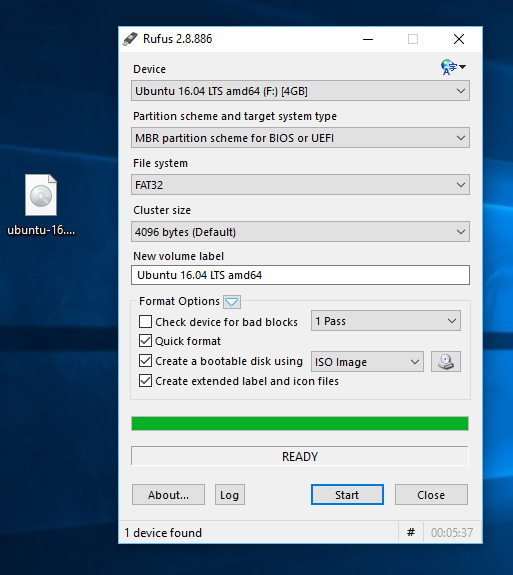 Rufus is the recommended application at the official Ubuntu website for making a bootable live Ubuntu USB on Windows. The USB flash drive you use should be 2GB or larger and formatted to FAT32. For Ubuntu 18.04 and later the USB flash drive should be 4GB or larger. The formatting procedure will delete all of the files that are already on the flash drive. 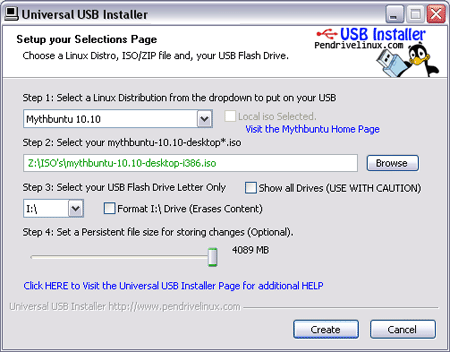 The instructions for preparing an Ubuntu live USB are found at the official Ubuntu How to create a bootable USB stick... webpage (see the step-by-step instructions below). Open Rufus and select your USB stick in the Device dropdown menu. Click the CD-ROM icon next to the FreeDOS dropdown menu, then find your downloaded Ubuntu ISO and click Open and then Start. 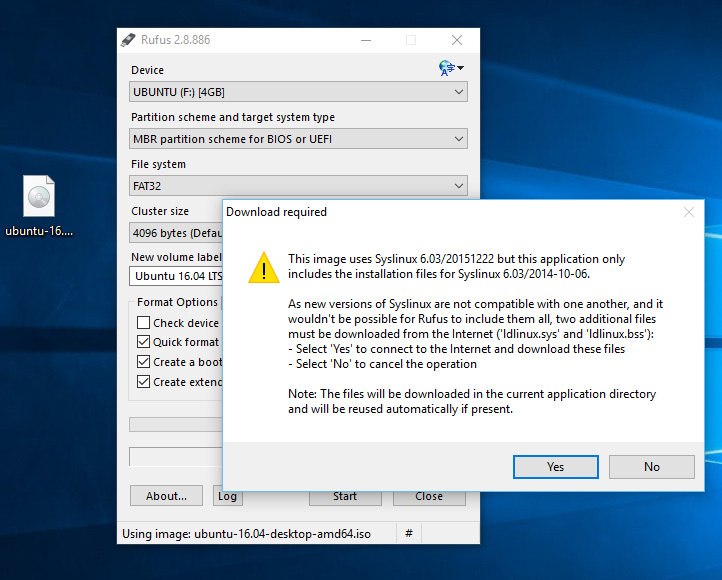 Click Yes when it asks to download Syslinux software. Click OK to write in ISO Image mode. Confirm that your USB stick is selected and then click OK to continue. 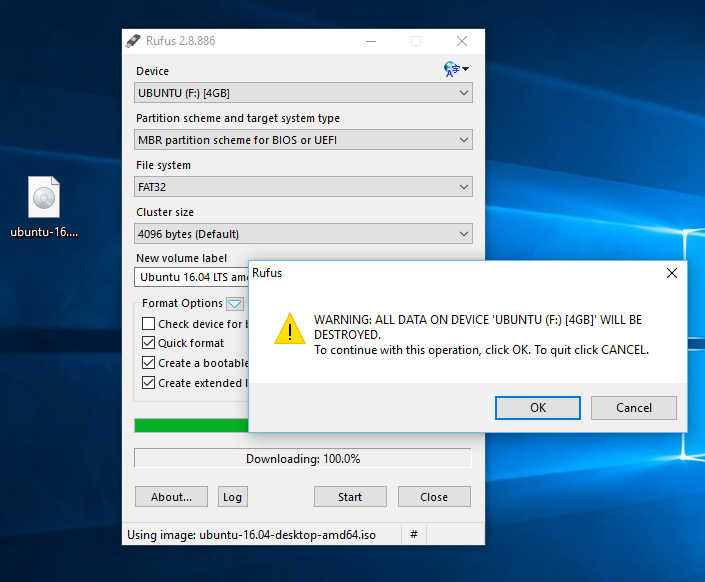 It is very important to verify that the device that you are installing the Ubuntu live USB to is indeed your flash drive, so that you don't overwrite any of your system or personal files which may make your operating system unbootable. When it is finished, just restart your computer and start using Ubuntu, or you can install Ubuntu. The Ubuntu live USB flash drive that you make this way will be bootable from a PC. In order to enable your computer to boot from the USB flash drive, you must enter your BIOS menu by pressing one of these keys: Delete, F2 or F10 as soon as the motherboard splash screen appears when the computer is booting. In the BIOS menu, you need to change the boot order so that the USB flash drive, which is usually called USB-HDD in newer computers, is the first entry in the boot sequence, and then save your new BIOS settings and exit the BIOS setup. Open Unetbootin ...select daily_live ...that surely will boot. Ubuntu ISOs (since 11.10) are hybrid, they are both CD and USB bootable. On Linux, you can just cat them to a flash drive. 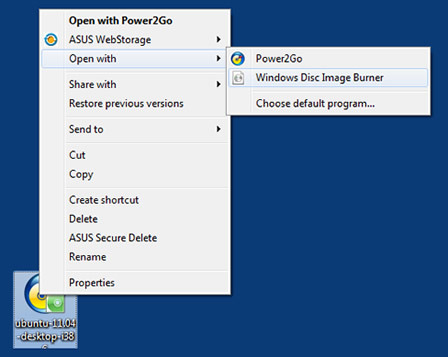 Right-click on an ISO image and choose 'Open with > Windows Disc Image Burner'. 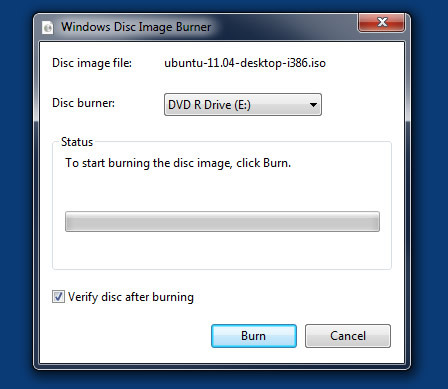 Select a disk burner (drive) and choose 'Burn'. If you check 'Verify disc after burning', it will confirm that the ISO image has been burned correctly. Open Windows Explorer, find your ISO file, right-click and choose 'Next'. Try Rufus. It's free and works better than unetbootin or live usb creator. It succeeded where both have failed for me. I haven't seen it mentioned, but Linux Live USB Creator is far and away the best I've tried. It's quick, easy, and allows Persistent Mode with no hassle. It is Windows-only, however. In case you are using newer computer there is a good chance it support UEFI. Now I understand this is an old post, but if someone have the same problem nowadays many of this answers just won't work. 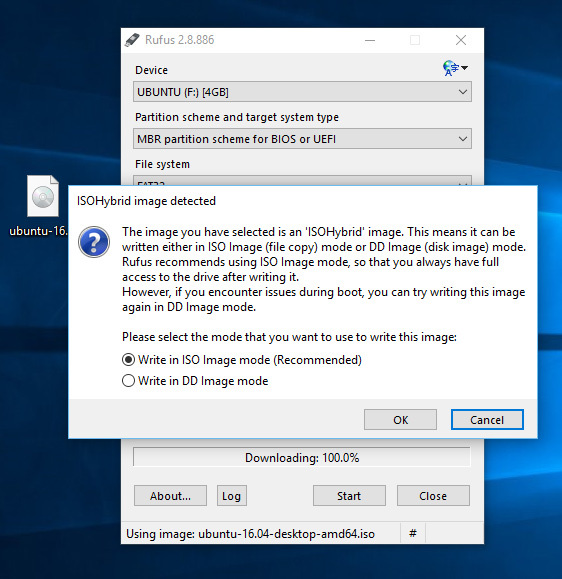 So if you want to create a bootable USB from Windows with all the new technologies supported (UEFI, GPT) you should use Rufus. Not the answer you're looking for? Browse other questions tagged live-usb or ask your own question. How to make a ISO image from a Bootable DVD in windows? 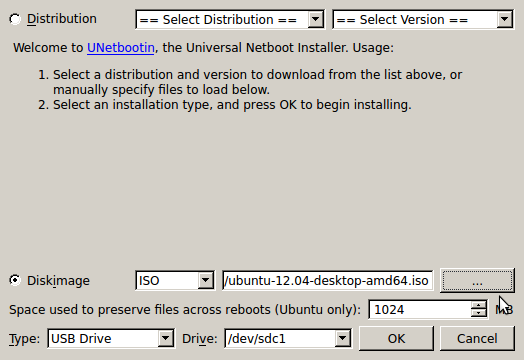 How do i install ubuntu 12.04 from a bootable usb pen drive? Is it possible to make bootable USB for Ubuntu Touch? How to make a Bootable USB? 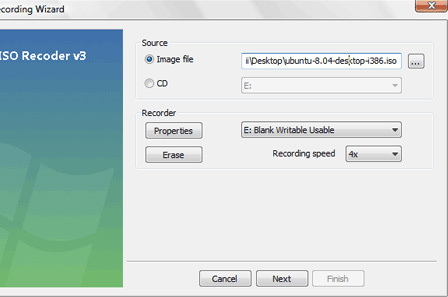 How to make a bootable USB IN Ubuntu? 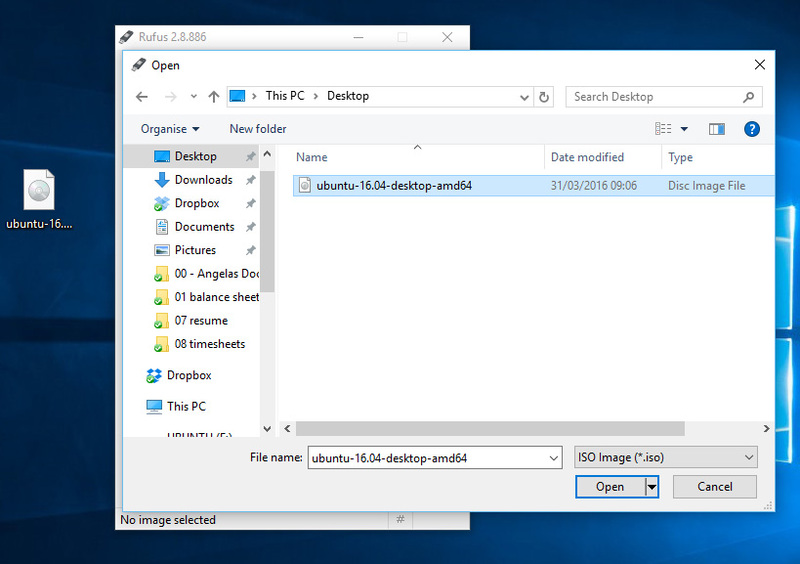 How Can I create a bootable USB for Ubuntu on Windows 10 from an iso image?